The most wonderful time of the year can also be the most stressful. We often get so busy shopping, baking and decorating to make the holidays special for those who are dear to us that we don’t make time to care for our dear old selves. It’s easy to think of self-care as just one more thing to add to your overflowing holiday to-do list. But you’ll stay jolly and better able to handle the holiday demands when you make simple changes to put yourself at the top of your list. 1. Say no when you want to. You don’t have to go to every holiday gathering you’re invited to. It’s ok to politely decline an invitation or two, especially when you’re already overextended. Does the thought of buying gifts for people you don’t know well really stress you out? Don’t participate in that office Secret Santa gift exchange this year. Prioritize the holiday events and activities that are most important to you and say no to the rest. 2. Give thanks. At the heart of Thanksgiving is a wonderful reminder to be grateful, something we should keep in mind long after the leftovers are finished. It turns out that cultivating a grateful mindset is great for your health and helps you better cope with stress. So, when you’re facing the stress of holiday party preparations, think about what makes you thankful for the holidays – like the quality time you get to spend with family and friends. 3. Enjoy the sights. Don’t get so caught up getting from one holiday event to the next and checking things off your list that you forget to look around. Slowdown and take a look at the holiday season through the eyes of a child. Notice the magic in the air. Go look at holiday lights and Christmas tree displays. Enjoy how your town shines during this special time of year. 4. Make time to do what you love. 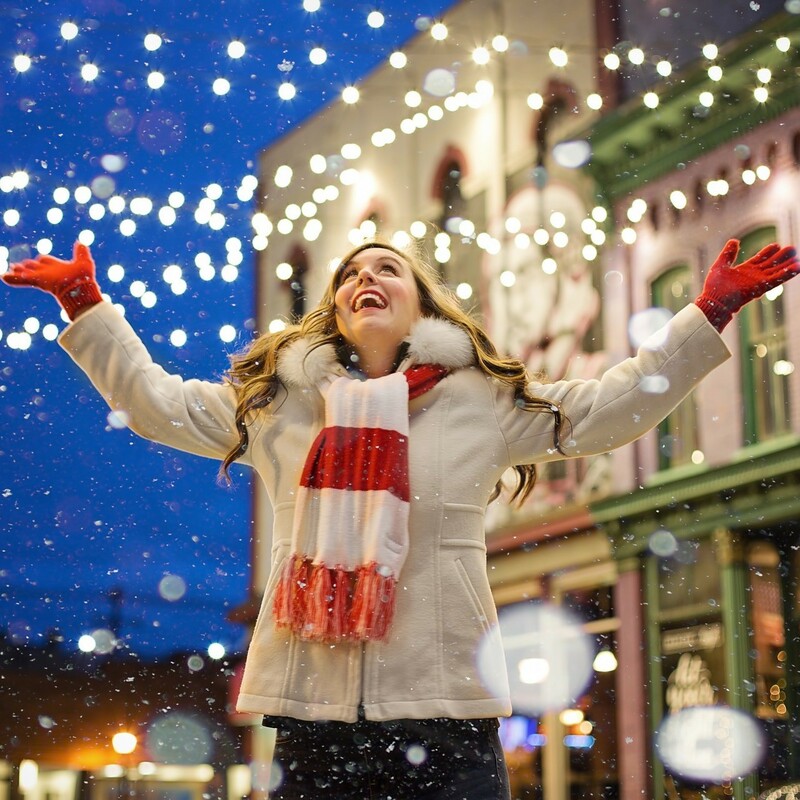 What activity always helps make your spirits bright? Knitting, curling up with a good book, playing with your dog? Before you brave the mall for last-minute gifts, plan some time to relax and do something you love. Even if you don’t feel like you have the time to spare, you’ll find the shopping is a bit easier when you’re able to head to the store with a calmer mindset. 5. Give yourself a healthy gift. While you’re making your list and checking it twice, don’t forget to put your own name on it too. Give yourself a gift that will help you feel better and be merrier during the holiday season and in the new year. Do your eyes often feel strained when reading your holiday recipes in the kitchen? Or when you spend the night at your computer shopping for gifts online? Three out of four people experience eyestrain every day while doing activities just like these. That headache you have at the end of the day may not be just a byproduct of holiday stress. Eyestrain could be putting a damper on your holidays without you even realizing it. But there’s a simple way to prevent it. Gift yourself an eyestrain-reducing lamp from the OttLite Wellness Series. It’s the healthiest light you can buy – proven to reduce eyestrain by up to 51 percent through healthy lighting technology. Studies show that eyestrain is often caused by inadequate or harsh lighting. Knowing that eyes function best in natural sunlight, researchers and engineers at OttLite developed patent-pending ClearSun LED technology that matches the sun’s spectral output as closely as humanely possible. 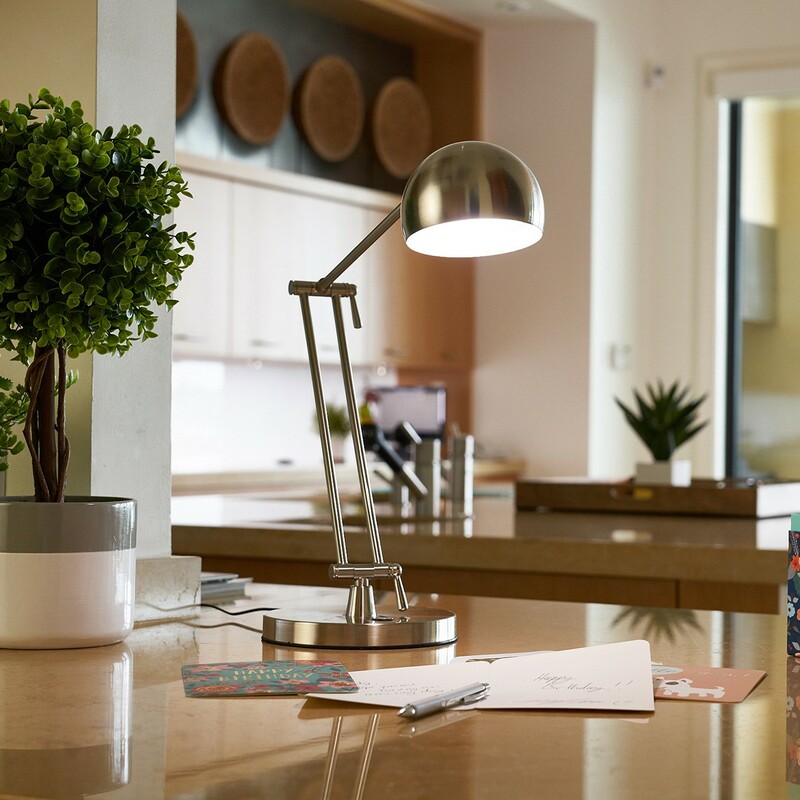 This advanced natural daylight LED lighting not only helps you see healthier with less eyestrain, it can help fight holiday stress too by lifting your spirits. Exposure to natural, healthy light encourages your brain to release serotonin, a hormone that helps stabilize your mood. The holidays are a time meant to be enjoyed by all – yourself included. Keep a healthy self-care mindset to help keep holiday stress out of sight and mind and make your spirits bright. For more ways to see and feel healthier this holiday season and beyond, visit seehealthier.com. 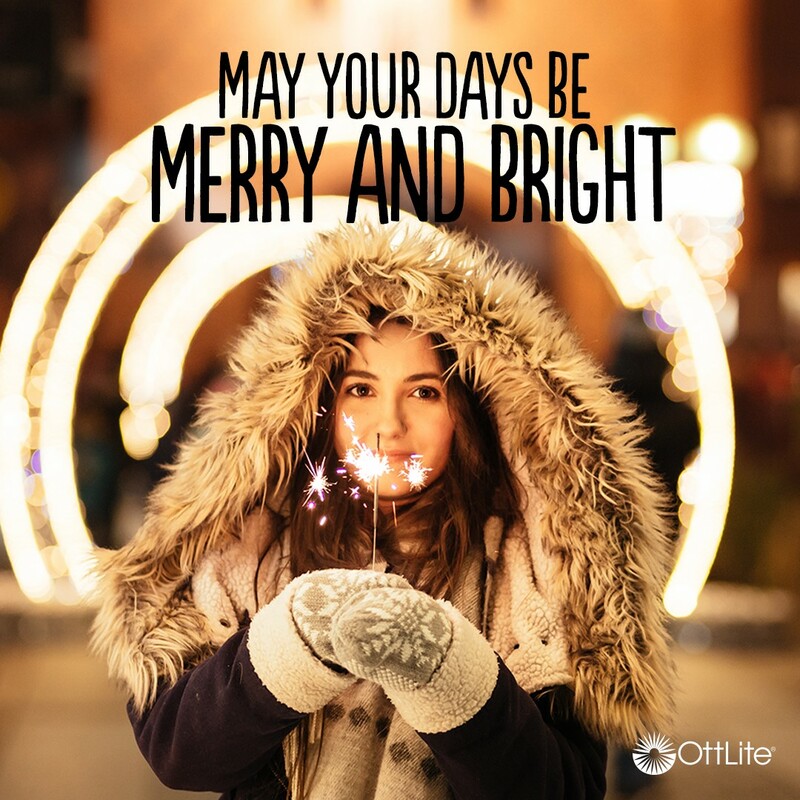 Follow us on Facebook, Twitter, Instagram and Pinterest for regular reminders and tips to help you live and see healthier all year long.